Some men don't understand why some women carry big bags. We lug our large totes around like as though good enough for a day trip! Some women carry A LOT of stuff inside while others seem to carry a big bag to make a fashion statement with very little content in the bag. 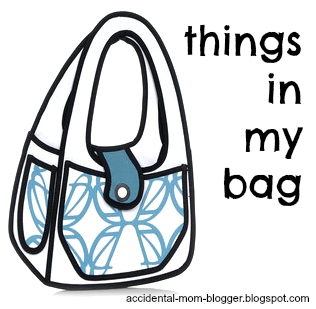 I am guilty of carrying more than one bag sometimes and keep a shopping bag within a bag. *And the men don't exactly get it. So what's in my bag, you ask? These are what I have! which looks a tad old-lady looking. Ok need to upgrade my pouch. Only thing I like about it is its waterproof. with the discount card still inside and 1 expired voucher. Almost 10 months old. Make that melted sweets. ewww. in case I get too cold in a mall or if the hubs decide to catch a movie. It can keep 2 persons warm. my friend's 8 year old daughter passed to me to help her repair her bracelet! Yikes! I totally forgot. with moolah inside! Wow, I'm $18 richer! where every other discount cards are placed. I found it deep in the corner of my bag. It finally saw the light of day. Not something I can leave home without! How about you? What's it like in your bag? Are you the walking provision shop, the fashionista or a minimalist? 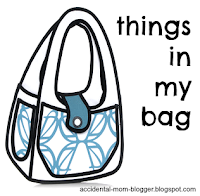 Do you have things that should not be in your bag? 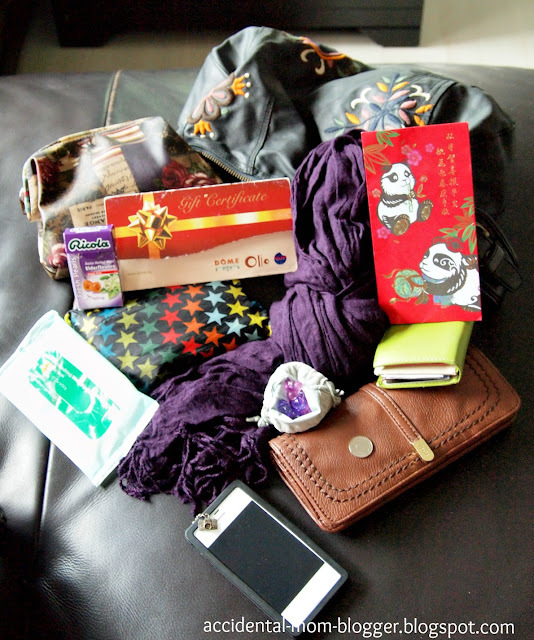 Do you organize your items in your bag well? What are the must haves to bring out? Po chai pills? Sng buay? or *cough* hong yiu? Take this opportunity to clean your bag up, discard them trash and take part in my linky party! Uncensored version is very much welcome. Please copy and paste the html in your post to link back if you are taking part! my "bag" when i go out on my own now it just my hp and necessary cards (using a wallet phone cover). haha! but let me go dig my typical bag out with Nakayla and see what i can come up with! Expired voucher lol! My bag is an embarrassment. Rachel, receipts and such are in my wallet ah! hahaha! I definitely agree with "the men don't get it". My hubby used to wonder why I have so much stuff, and then when got a lot of gadgets then he realised HE needed a bag, so hopefully he understands!! Omg, u have A LOT of cards huh!